Crisp with pleasant notes of minerality, grapefruit, lemon and fresh herbs; this California Sauvignon Blanc is truly inviting. Keep Drinking and Keep Believing. 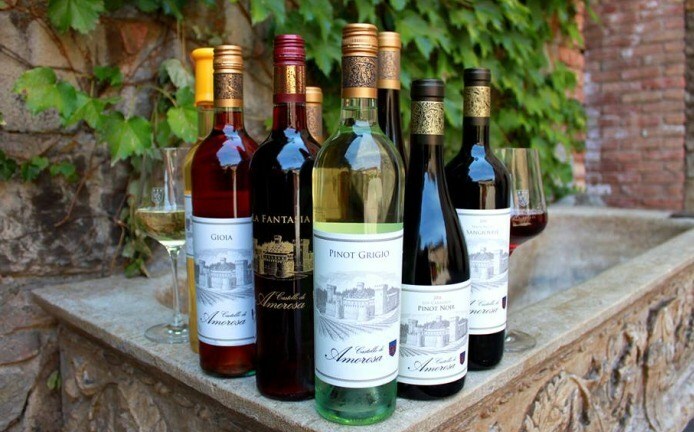 Happy Wine Wednesday from San Diego and here is a wonderful line up of tremendous wines from tremendous people, Castello di Amorosa from Napa Valley. 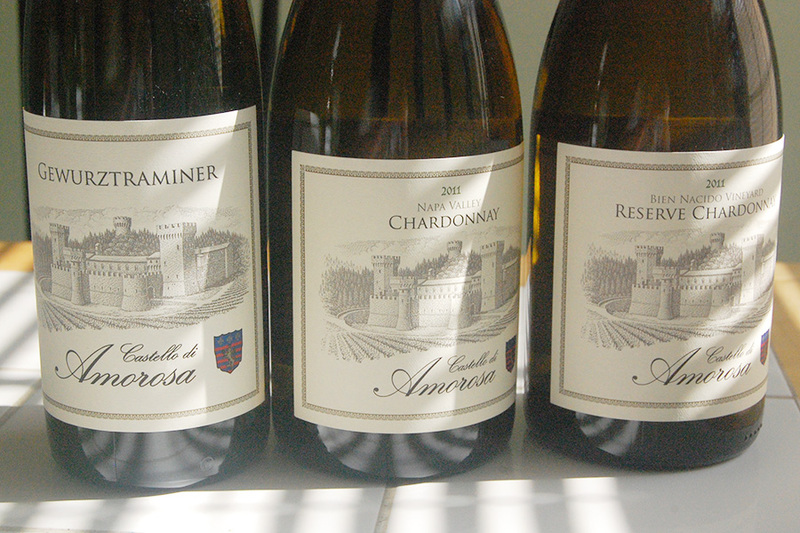 2011 Castello di Amorosa Napa Valley Chardonnay~ A beautiful balanced wine offering delectable flavors of pineapple, lemon curd, vanilla cream and tea. 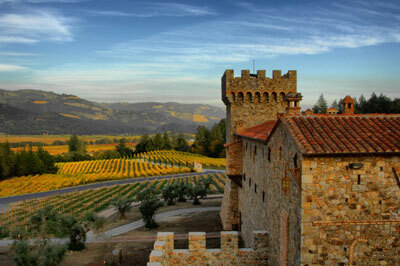 2011 Castello di Amorosa Bien Nacido Vineyard,Reserve Chardonnay~ Ginger, spice, Asian pear and subliminal coconut shape this massive medium weight Chardonnay into a crown favorite. 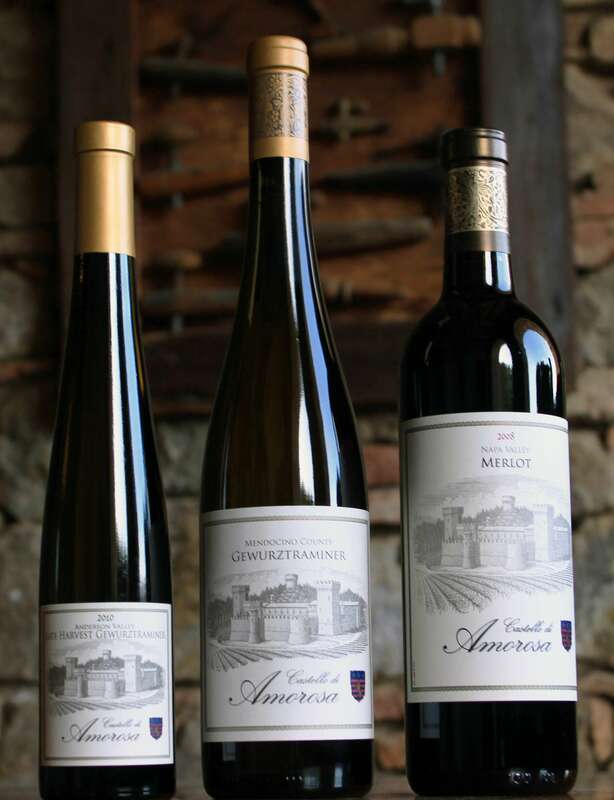 2013 Castello di Amorosa Gewurtztraminer,”Dry” Anderson Valley~ Clean and inviting with flavors of lightly spiced pear,orange blossom and slight hazelnut. 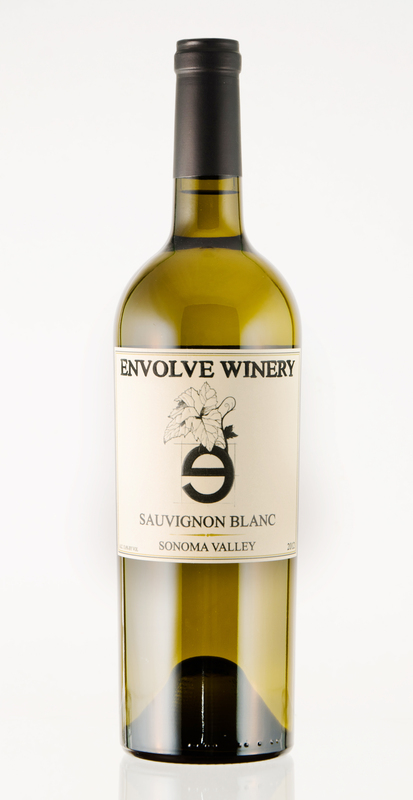 Slightly viscous, this wonderful white has balanced acidity with a wisp of sweetness. 2010 Castillo di Amorosa Napa Valley Cabernet Sauvignon~ With a rich, hedonistic hue and mouthfeel,this profoundly polished Cabernet gifts divine flavors of dill, dusty earth, hearty tobacco and dark cherry. Great now with some decanting and will only get better with age. Absolutely sensational! 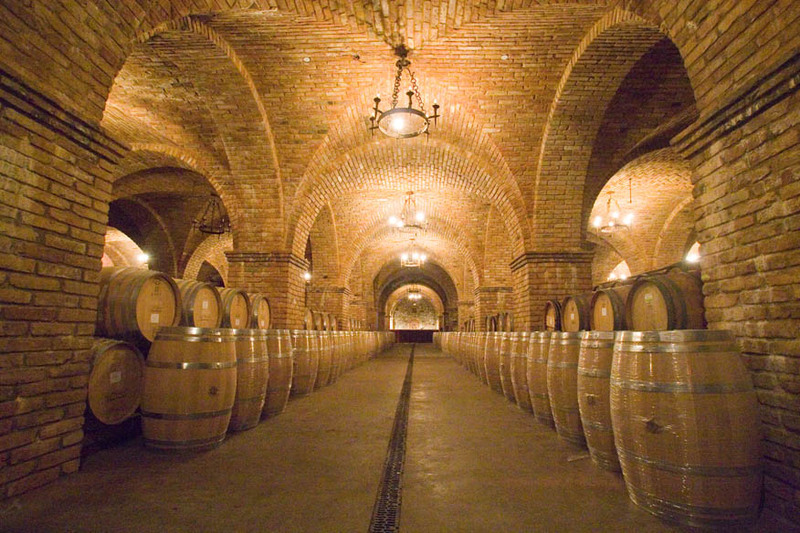 2011 Castello di Amorosa Napa Valley Merlot~ With luxurious depth and color, this exquisite Merlot is polished and soft on the palate while still being extremely rich with blessed flavors of lime zest, tobacco,baking spice, heavenly plum and toasted oak. 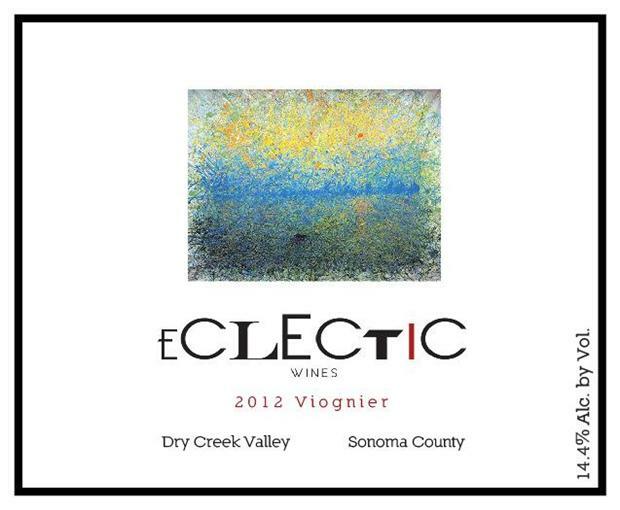 This off-dry Riesling from Columbia Valley, Washington offers beautiful flavors of orange blossom, pear, honey and nectarine. An absolute steal I picked up at Costco for $7.99! Keep Drinking and Keep Believing. This dry rose expresses beautiful notes of tart melon, properly ripe strawberries, mild grapefruit and a wisp of bing cherry. An extremely pleasant, bright rose that keeps giving the whole way through. Keep Drinking and Keep Believing. Stunning melon, rose petals and strawberry on the nose while offering concentrated flavors of watermelon and honeydew, accompanied by a hint of refreshing grassiness. 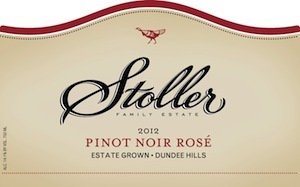 Amazingly balanced Summer time wine to share with all. Keep Drinking and Keep Believing. This New World, medium weight Viognier offers pleasant attributes of honey, apricot, semi sweetness and slight spice. Great wine to pair with that savory, Easter Ham. Keep Drinking and Keep Believing. 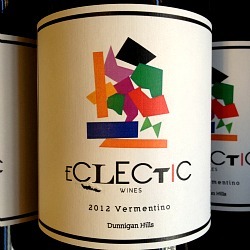 This California Expression of the Italian and Sardinian white grape, Vermentino is easy sipping, well balanced, with light flavors of lemon curd, green apple and vanilla. This crisp, refreshing white wine makes me want to take sip after sip on a beautiful Summer day, while enjoying a plate full of sauteed shrimp. Keep Drinking and Keep Believing. Spicy with beautiful offering of Asian pear, balanced oak influence, mild grapefruit and wisp of Allspice. 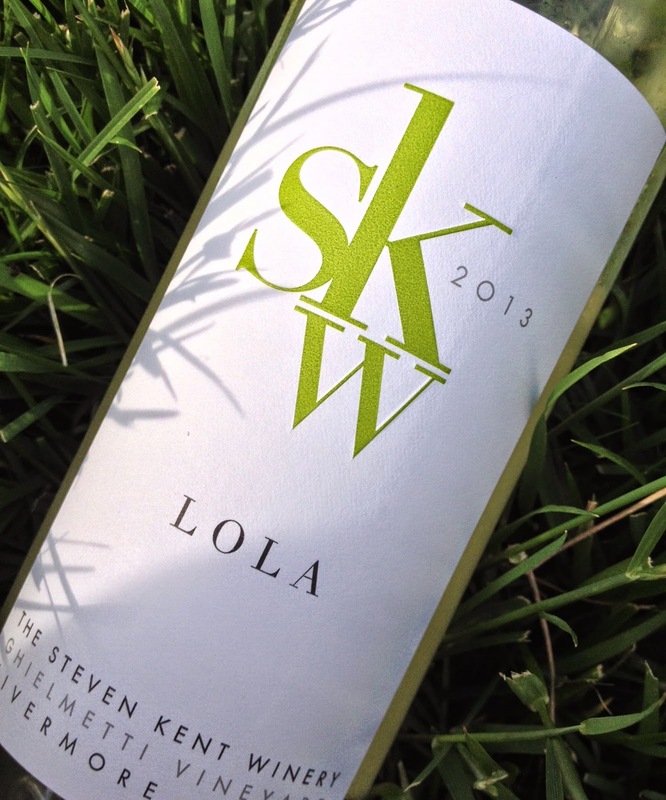 Perfect wine for the Spring Season! Keep Drinking and Keep Believing. 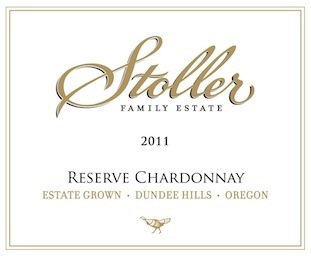 Beautifully calculated flavors of green apple, pear, cedar and mild vanilla cream guided by an immaculate mouthfeel and pleasing acidity; Domestic Chardonnay at its finest and Stoller Family Estates claims another victory. Keep Drinking and Keep Believing.